This new short is part documentary, part home video, part experimental, and what I consider to be a somewhat kitschy stereotypical depiction of what every film student experiences on one of their first film shoots. The footage, as you might have guessed, comes from an old film school project that I shot with classmates Cam Koroluk and Thomas Gallagher in 2004, originally titled The Brief History of Metric Time. Brief History was the result of a Film 300 assignment in which every student in class wrote a script, and then two other students in class would act as either the director or producer for that project. This system worked on rotation so that every student got to experience the various roles played in the production process. For this project I was the director, hence, I took it upon myself to resurrect the footage after 4 years and cut it into something I actually felt was worth sharing. 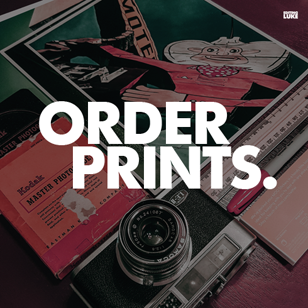 It seems to be a common occurance in all creative ventures when groups are involved that comprimises have to be made. I'm refering here to the film class, which was a very diverse and opinionated group. With the scripts randomly distributed, I didn't have much of a choice in terms of plot, and didn't really have a lot of time to rework the concept before shooting. It was always what I hated about shooting on film compared to shooting digital, there was so much equipment to be booked, and so much more to do just to get your exposures and audio right. On top of that, everyone always had their own projects on the go at the same time, so there wasn't an abundance of people to draw on for crew. Even in the best of circumstances, it was just a complicated process to pull everything together in these classes. The original film, focused on a man who invented a new system of time based on the metric system. The dialogue was divided by pages of nonsensical mathematical equations, and aside from that, there wasn't actually much to go on. The student who wrote our script was the type that if you were casting roles for stereotypical arts students, he'd fit the bill perfectly, which is to say that he didn't need his script to make sense because he already believed himself to be the next Fellini. The worst part was that the concept really wasn't a visual story. I guess dealing with these challenges was what film school was all about. On a side note, I recall that my script was a comedy about a guy getting dropped off at the dorms by his parents. Inspired by my own experience in the fall of 2002, the group that shot my screenplay did a sweet job. 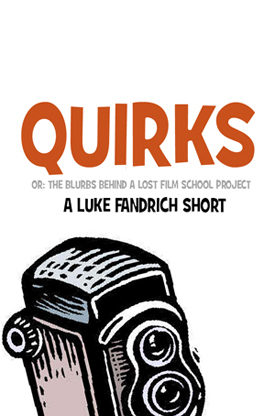 Quirks (OR: The Blurbs Behind a Lost Film School Project) is a fresh edit composed entirely of the raw footage that was captured to mini DV from the film we shot it on. My goal here is to give a little glimpse of my own film school history, with some quips about just how random the experience was. 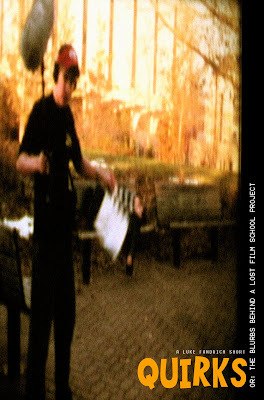 While this project obviously wasn't technically 'lost', it stands to represent the handful of my film experiments that were. At the very least, Quirks is a symbol of just how far I've come since 2004. The 4 years and 3 months since this was shot seems like an incredibly long time ago, largely because of how much more prolific I've become with my filmmaking. It's why I felt it was finally worth sharing. I've grown up a bit I suppose. Impressive. I wouldn't be able to live through a film class, I'm horrible with working with other people. I did it in high school, which shot every dream I had of making a movie. Haha. You pwned that slate by the way. It was awesome. And the salt? I want to say genius, but that had to be one heck of a mess!